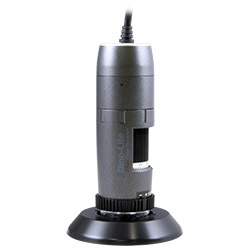 The Dino-Lite AM4815ZTL Edge series handheld microscope features improved optics for sharper images, an adjustable polarizing filter, Long Working Distance (LWD), Extended Depth of Field (EDOF), and Extended Dynamic Range (EDR). With these features, this model is suitable for a wide range of applications including the repair and assembly of highly reflective or translucent materials, with examples such as soldering, quality inspection, or jewelry fabrication. 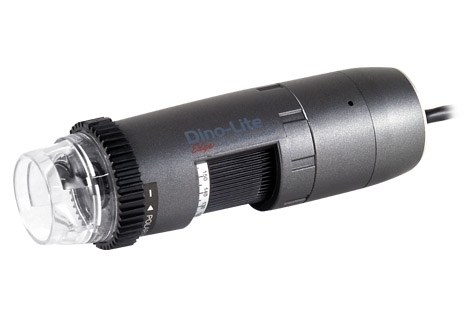 For applications that require transmitted polarizing illumination, such as optical mineralogy, we recommend purchasing the Dino-Lite BL-ZW1 backlight pad as an added accessory.